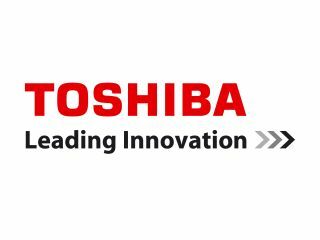 Toshiba has announced a new 6.1-inch display which boasts an incredible dixel density of 498 pixels per inch. The Toshiba Mobile Display LCD panel is capable of displaying photo print quality images and has a quite remarkable 2,560 x 1,600 resolution, far in excess of high definition (1920 x 1080). However, the pixel density will make the headlines, smashing Apple's Retina Display on the iPhone 4, 4S and iPod touch, which comes in at 326ppi. The design, which has no firm production date as of yet, also has a 1000:1 contrast ratio and is capable of showing 16.7m colours. The company says the viewing angles are an impressive 176 degrees, which would be perfect for use on a tablet screen. Tosh is also saying that the Mobile Display LCD panel, while only 2D for the moment, could also be implemented for glasses-free 3D viewing. The press release says: "This newly-developed world-class, high-definition LCD panel is based on our processing techniques for forming fine-pitch and high-performance, low-temperature poly-silicon (LTPS) thin-film transistors (TFT) on glass substrates, and other precise fabrication techniques which have been cultivated over the years. "This direct-view LCD panel achieves high-definition images with photographic quality, and although the images are displayed in 2D format, they impart a sense of depth and realism." The display will be shown off next week at an exhibition in Yokohama, Japan.